Welcome to the Brush Hogging group of SmartGuy.com. Feel free to interact with other professionals from across the world. You can find professionals, find deals on services, find professionals who might barter, or simple post questions, comments, or suggestions. A brush hog or "bush hog" is a type of rotary mower. 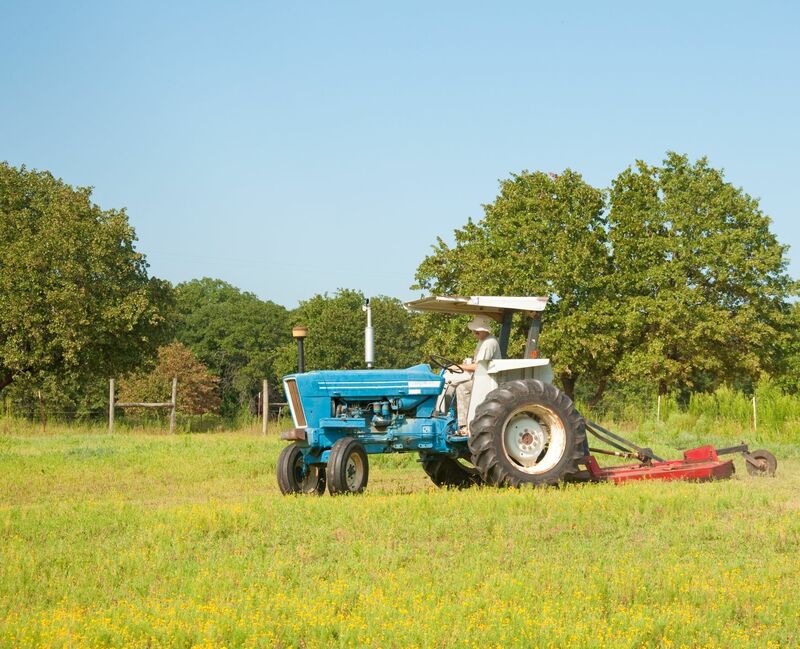 Typically these mowers attach to the back of a farm tractor using the three-point hitch and are driven via the Power take-off. It has blades that are not rigidly attached to the drive like a lawnmower blade, but are on hinges so if the blade hits a rock or stump, it bounces backward and inward, and then centrifugal force makes it go outwards again.